When your team is trying to build something that doesn’t currently exist, the development process is full of moments of uncertainty. These are times where you don’t just not know what to build, you don’t even know how you would build it. These might be moments where you don’t really know what your real problem is—just that you have one. One litmus test for this: if you’re working on your product and you hit a roadblock, and you can’t find a satisfactory answer to your question on Stack Overflow. When you’re building a relatively simple CRUD app, the project planning process doesn’t have to be overly sophisticated. Do some user research. Make some mockups. Define your requirements. Hand it off to your developers and design team, and let them execute on it. Ship. But when you’re building a product with lots of technical or business unknowns—something many startups and product teams are doing—this process breaks down. The methodology that is supposed to make you go faster actually makes you go slower. It stresses and frustrates your team. And it can leave you drastically behind on your deadlines. The problem occurs when the irrational optimism of project planning meets the inherent uncertainty of building product. The problem with the conventional planning process is that it doesn’t allow you to account for unknown unknowns, and unknown unknowns are what building a complex technical product is all about. At RankScience, where we’re building a continuous optimization platform and CDN for website SEO, we encounter plenty of technical unknown unknowns—for no more exciting reason than the fact that what we’re doing hasn’t been done. Over the last year, we’ve developed a system for planning that allows us to get stuff done while avoiding all the pitfalls of conventional project planning. We run these three techniques in cycles depending on what stage of uncertainty we’re at with a particular problem. We can move fast: But not so fast that we bury ourselves in technical debt. We can make adjustments on the go: Rather than being beholden to a sprint date. We can learn iteratively: Rather than relying on the team to know everything about the problem space beforehand. If we’re very uncertain—we have no idea what to do about a problem—we do research. Once the research we’ve done has revealed a possible solution, we use a spike to learn more about the domain. 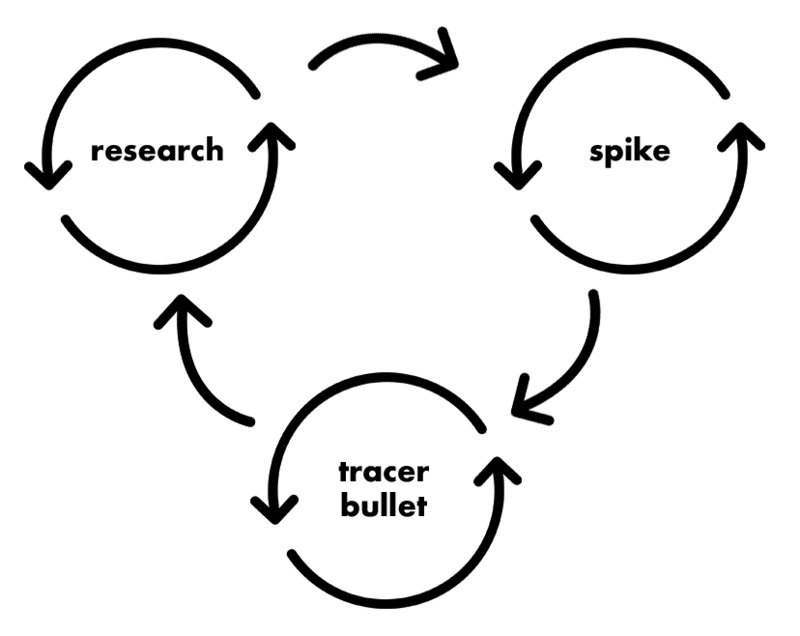 Lastly, we’ll do a tracer bullet to see whether our solution will work as a long-term piece of our architecture. If that’s successful, we move on. If not, we can go back to Square One on that problem. Each step gives feedback both to us and to the next step in the process. 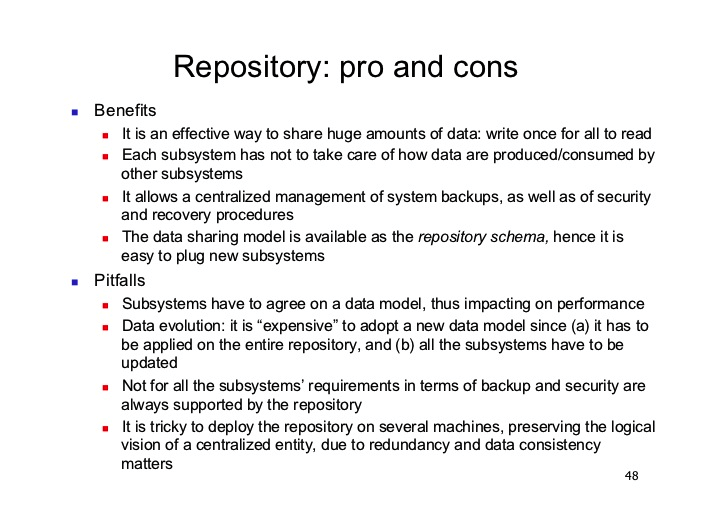 The constant feedback loops that this system gives us may be the most important reason that it’s useful. When you just have a plan and try to execute on that plan from the beginning, you can easily just end up toiling in silence on it. Deviate from the plan, and the whole thing can fall apart. The idea behind this system is acknowledging that the system will fall apart—you will need a Plan B, and maybe even a Plan C—and that you should optimize for that. It doesn’t matter if you’re at the beginning of a total architecture rebuild or just trying to add a new button to your site. When you have no idea how to fix your problem, you shouldn’t even bother coding. Instead, you should do your research—develop a list of different options, and then create pros and cons for each one. We’re entering the research phase of every uncertain decision thinking about how we can reduce our operational burden, increase our bus count, and improve our team velocity. Research should be time-boxed as an activity (so that you don’t spend an endless amount of time reviewing different options) and it should also have a concrete output that will mark the end of the research phase. That will usually, but not always, be a decision about which possible solution to pursue. It’s also possible that your research cycle will reveal that you shouldn’t try to solve the problem you were studying at all, or that you would be better off hiring someone from the outside to look at it. The spike is a scrappy, throwaway solution to a problem. It sometimes gets flak as a waste of time, but a good spike can teach you things about your problem that you could never learn by jumping straight into building. A spike is work you throw away when you’re done—but used correctly, it can help you learn a lot about the problem you’re trying to solve. The spike itself is not going to help you build your final product any faster, but the lessons you acquire from watching people and reality interact with it will. A good example is the paper prototype. Mocking up a paper prototype of your idea, for example, might seem pointless in an age where you can rapidly create mockups in Sketch and export them to any format you want—but human user testers can work and play with paper. They can get a tactile sense of your product. They can make suggestions much more easily. In conventional project planning, your minimum viable solution to a problem is how you begin actually solving that problem. In a spike, your minimum viable solution to a problem is what helps you understand what that problem really is. You might not be validating the email addresses people enter. There might be any number of improvements to make before you consider the project finalized. But if that flow works (and in a production environment) then you know that the flow will work when you put the finishing touches on. The tracer bullet isn’t a finished product, but it does produce more finished product than a spike, which is almost always “thrown away” after you’ve learned everything you can from it. A tracer bullet is there to prove out the methodology of your solution—which means it should encompass a broad enough scope that you can generalize from it, yet not so broad that you expend too much time working on it. Moving fast no longer becomes about getting a completed plan together as quickly as possible, because there is no realistic expectation that a complete plan is even possible. 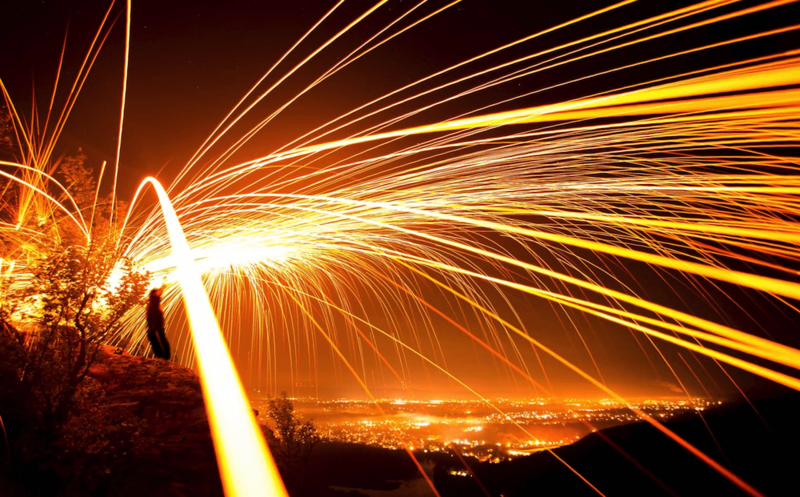 When you’re working with products with extreme uncertainty or technical risks, you should use research, spikes, and tracer bullets to cut iteratively through that uncertainty—and get little glimmers of answers along the way.